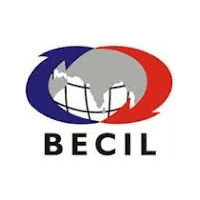 BECIL Jobs Recruitment Notification 2018.Broadcast Engineering Consultants India Limited, BECIL inviting applications for the positions of Graphic Designer, Social Media Executive.Interested and Eligible candidates can apply for the positions. 1. Hiring Criteria: A minimum of two years experience in visual design and/or front end development for social media and/or World Wide Web. Must be proficient in Adobe Creative Cloud (Photoshop in design, Illustrator etc. Must be conversant with social media platforms such as Facebook, Twitter, YouTube, Instagram and Blog. Professionals experience in managing social media presence for client organization. 2. Job Description: The Graphic Designer (Social Media) will be responsible for working with team members in creating impactful visual designs and graphic products that improve the effectiveness of PIB’s social media communication. Understand the content, context, purpose, style and tone of the message to be communicated. Create visual designs and graphic products such as info graphics, GIF videos, etc. which are appropriate in communicating the message to MHA audiences on various social media platforms, such as Twitter, Facebook, Instagram. Other responsibilities for this role will be assigned as necessary/appropriate. 1. Hiring Criteria: Must hold a Bachelor’s Degree (any Field). Must have good communication skills (in English/Hindi/Urdu as the case may be ; 3 positions for English, One position for Hindi and one position for Urdu) Must be versatile in using the Internet, MS Word, Excel, Graphics etc. Must be conversant with working on social media platforms such and Facebook, Twitter, Youtube. Professional experience in managing social media presence for client organization. 2. Job Description: The SME will be responsible for publish high-quality, error free, content on the social media platforms of MHA. Identify content worthy of being published, generate content ideas. Craft social media messages in a way that is appropriate to each platform and context. Design and Publish messages on MHA’s social media platforms (Facebook, Twitter, YouTube, Instagram etc, more to added) in English/Hindi/Urdu. 1. Application forms may be obtained from BECIL’s Corporate Office: C-56, A/17, Sector-62, Noida-201307 or downloaded from www.becil.com.